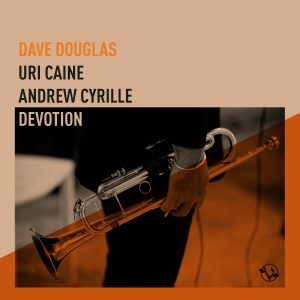 The new album from Dave Douglas, Uri Caine, and Andrew Cryille will be released on May 17. Trumpeter Dave Douglas and pianist Uri Caine continue their long-time musical association with a new album featuring master drummer Andrew Cyrille. The sequel to the 2014 Douglas / Caine album Present Joys that centered on renditions of Sacred Harp tunes and which the New York Times called, “an album of duologue that manages to be at once intimate, soulful and irrepressibly buoyant,” Devotion features new original compositions by Douglas in devotion to many of today’s greatest composers. 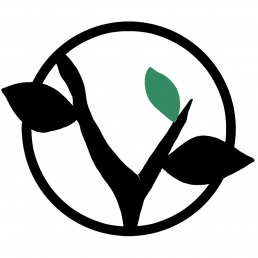 On the 2014 Greenleaf Music release Present Joys, trumpeter Dave Douglas and pianist Uri Caine turned selections from the starkly beautiful “Sacred Harp” songbook into jazz-rooted duologues that were, as the New York Times put it, “at once intimate, soulful and irrepressibly buoyant.” An archaic, centuries-old Protestant singing tradition might seem like implausible source material for two of the most important improvisors of their generation, but Douglas and Caine’s penchant for pulling inspiration from all corners of musical and cultural history is well established. Douglas and Cyrille also have plenty of shared history to tap into. The drummer participated in Douglas’ landmark Metamorphosis performances at Jazz at Lincoln Center and the year-long subscriber series project through Greenleaf Music. A decade earlier, Cyrille in Douglas’ Golden Heart Quartet, which toured the U.S. and Europe. In 2008, Cyrille joined Allen, Roy Campbell, William Parker, Hamid Drake, Mixashawn Rosie and Henry Grimes in Douglas-helmed performances of Don Cherry’s Symphony for Improvisers. In the way of repertoire, Devotion is an act of precisely that, a collection of Douglas originals crafted in homage to a wide swath of worthy deities and places. “Curly” takes its name from Douglas’ favorite Stooge (a.k.a. Jerome Horwitz). “Never forget the levity,” the trumpeter advises. “D’Andrea” and “Francis of Anthony” are for the great Italian pianist and composer Franco D’Andrea—“someone I continue to learn from,” Douglas enthuses. “His book about intervals is quite extraordinary, but playing with him and playing his music opened me up to other ways of organizing and appraising musical events.” “Miljøsang” and “False Allegiances” are nods to pianist-composer (and NEA Jazz Master) Carla Bley, with whom Douglas has toured.